Add Product Code (1126)The all new Stainless Steel Kangarillo 2 Hand Dryer is a worthy successor to the market leading original Kangarillo Hand Dryer. Add Product Code (1126B) The all new Black Kangarillo 2 Hand Dryer is a worthy successor to the market leading Kangarillo Hand Dryer. Add Product Code (1124)Quality Quality Quality. The Dillo Hand Dryer is a smart and energy efficient hand dryer with an amazing drying time of between 8 -12 seconds. Add Product Code (1124B)Quality Quality Quality. The Dillo Hand Dryer is a smart and energy efficient hand dryer with an amazing drying time of between 8 -12 seconds. Add Product Code (1124W)Quality Quality Quality. The Dillo Hand Dryer is a smart and energy efficient hand dryer with an amazing drying time of between 8 -12 seconds. 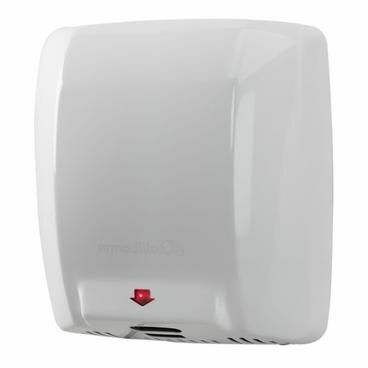 Add Product Code (1004)The Armadillo Hand Dryer is a dynamic pioneering eco hand dryer providing a tornado of fast flowing air to dry wet hands within 10 seconds. In addition, it is so tough its almost bullet proof! Add Product Code (1010)The Kangarillo Hand Dryer is a pioneering eco hand dryer that dynamically uses a tornado of fast flowing air to blast wet hands dry in only 10 -15 seconds and due to advanced air flow technology, is one of the quietest in its class only producing 75 dB of noise. Add Product Code (1118)The Kangarillo Hand Dryer is a pioneering eco hand dryer that dynamically uses a tornado of fast flowing air to blast wet hands dry in only 10 -15 seconds and due to advanced air flow technology, is one of the quietest in its class only producing 75 dB of noise. Add Product Code (1117)The Kangarillo Hand Dryer is a pioneering eco hand dryer that dynamically uses a tornado of fast flowing air to blast wet hands dry in only 10 -15 seconds and due to advanced air flow technology, is one of the quietest in its class only producing 75 dB of noise.